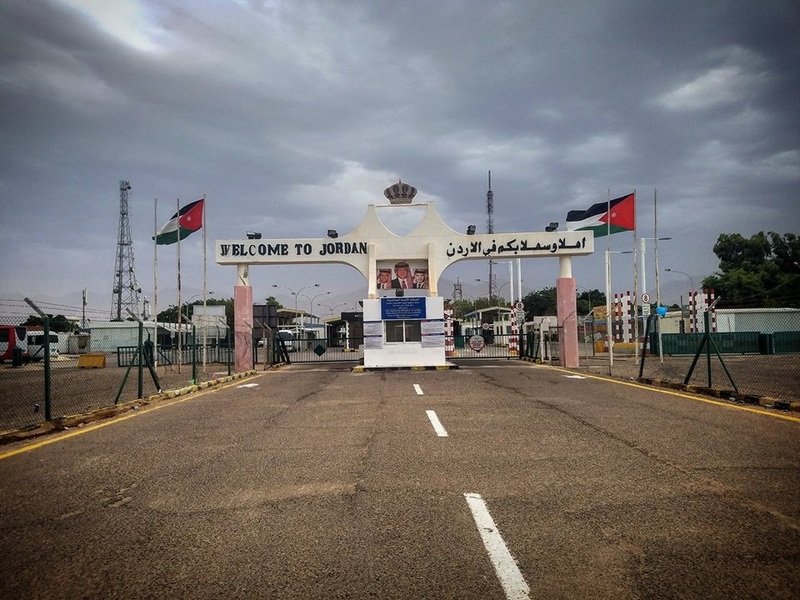 There are two airports that you can use to fly into Jordan - the first is the Queen Nor International Airport, in the Jordanian capital of Amman. From the airport, take a cab into the city (about $25) or a public shuttlebus ($2-3). It’s about 35-45 minutes to the city centre, depending on traffic. From there you can take a JETT bus or minibus ( a 10 seater, which only departs once full) to Wadi Musa, which should only cost a few dollars. Alternatively, haggle with a cab driver for a private ride. It’s also possible to fly into Eilat airport (in the south of Israel) from Sde Dov (a small airport, just north of Tel Aviv’s city centre) that only operates within Israel. From Sde Dov, you can take a cab to the border - it’s a 10 minute drive. For getting to Aqaba and then Wadi Musa, see below. 1. Yitzhak Rabin (south Israel) crossing - I took this route. It’s pretty popular, since it’s very close to the Israeli city of Eilat (which has many amenities, should you need to purchase food/medicine/trekking gear first) or if you arrive too late to cross the border and need a hotel for the night). From the Eilat bus station, either take a cab to the border (30-40 NIS) or catch the local bus (number 15, costs 5 NIS). This stops at a crossroads close to the border - tell the driver to drop you off there (they all speak English) then walk about 6 minutes until you see the signs. Once through customs on both sides, you have two options - either take a taxi directly to Wadi Musa (this will cost between $60-100) or take a taxi only as far as the Aqaba central bus station. This is a 15-minute drive and will only set you back about $10-12. Once you are at the bus station, there are small (10-seater) minibuses that leave for Wadi Musa as soon as they are full. Using one of these is very cheap, no more than a few dollars, and you can meet the locals too! The drive from Aqaba to Petra takes just over two hours. Allenby Bridge crossing - this is also a well-trodden route. Take a yellow sherut but from East Jerusalem bus station to this border crossing (about 45 minutes) then from the Jordanian side travel onto Amman, the capital. From there, at the central bus station, you can pick up a minibus that goes to Wadi Musa, or negotiate a price privately with a cab driver. The journey is about 3 hours, so taking a private driver won’t be that cheap. Using a public minibus will, again, be just a few dollars. Beit She’an (northern Israel) crossing - if you’ve been in the Galilee or Golan, this crossing has its merits - either take the thrice-weekly Nazrene bus service from Nazareth to Amman (leaving at 8.30 am, it gets in at 1.15 pm, including the wait at the border). Otherwise you’ll need to take a taxi to the border (a 15-20 minute drive from Beit She’an) and then another taxi the other side to Amman (there are no no public buses in Jordan that run from the northern crossing to the capital). This is costly - you could end up paying a good $120 for the two-hour drive, via Irbid.